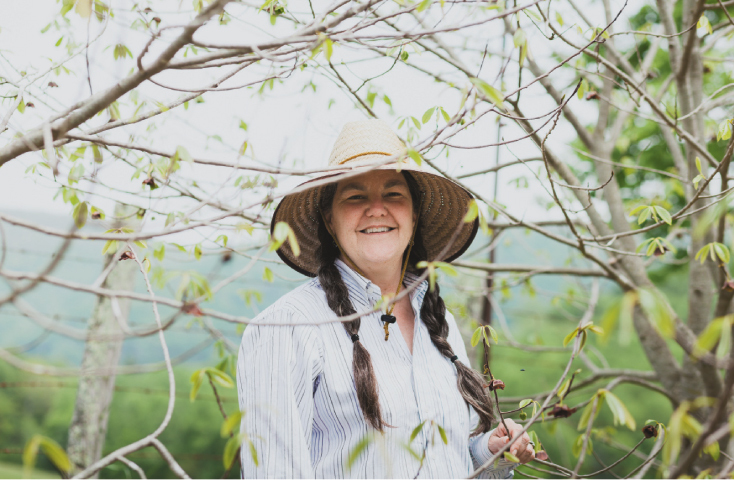 During three decades of farming, there isn’t much Susan Owen hasn’t tended on her 42-acre Lily Patch Farm in Watauga County, from bees and flowers to medicinal herbs, chickens, and pigs. And that was all before she tasted a pawpaw. But once she broke one open she was hooked. “I was blown away,” says Owen, who describes the flavor as a medley of banana, pineapple, and mango. Since then, her trees have yielded a modest harvest—enough for a local farm cooperative, the New River Organic Growers, to distribute to local markets and chefs, but not enough to keep up with the demand. That’s when she figured she was on to something. So, endowed with funds from the Blue Ridge Women in Agriculture’s Mary Boyer Sustainable Food and Agriculture grant, Owen recently put a plan in motion to cultivate up to 50 pawpaw trees in a tier-aged orchard. Will there be a pawpaw bubble? Don’t count on it. Since pawpaws don’t keep long, they’re hard to ship. So the market is a niche one comprised mostly of specialty groceries and restaurants. However, Owen is quick to point out that pawpaws are versatile in the kitchen. The tasty fruit works well in any recipe as a banana substitute or in an assortment of desserts, such as ice cream or cheesecake, she says.